French physician; lived in the fourteenth century. He was the author of a medical treatise entitled "Gabriel," still extant in manuscript (Günzburg, No. 316). 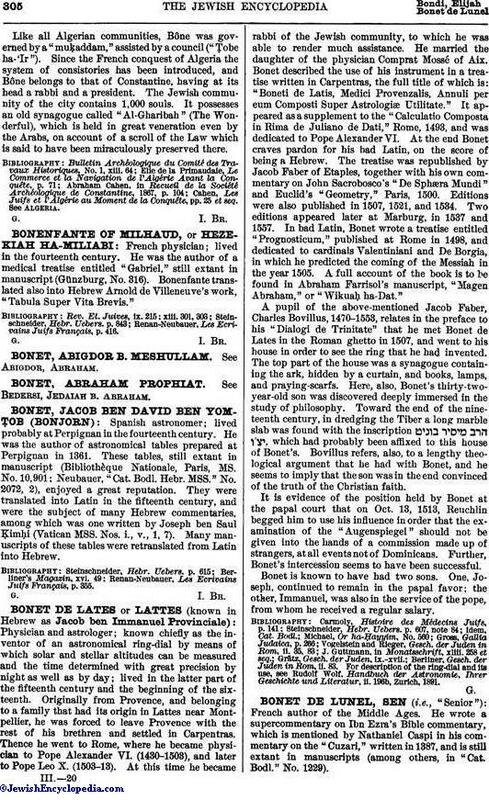 Bonenfante translated also into Hebrew Arnold de Villeneuve's work, "Tabula Super Vita Brevis." Renan-Neubauer, Les Ecrivains Juifs Français, p. 416.